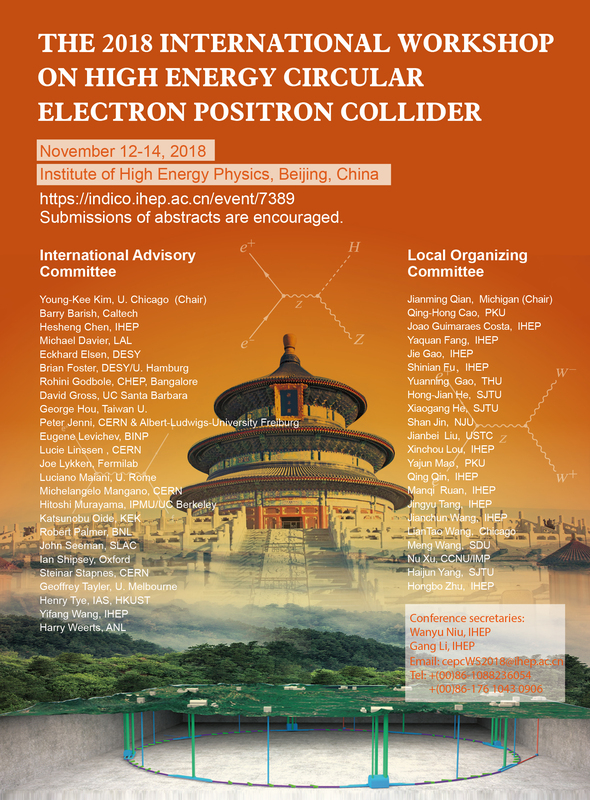 The 2018 international workshop on the high energy Circular Electron-Positron Collider (CEPC) will take place between November 12-14, 2018 at IHEP in Beijing. The workshop intends to gather scientists around the world to study the physics potentials of the CEPC, review both accelerator and detector Conceptual Design Reports (CDR), pursue international collaborations for accelerator and detector optimization as well as for R&D of critical technologies, and develop initial plans towards Technical Design Reports (TDR). The high energy Super proton-proton Collider (SppC), a possible upgrade of the CEPC, will also be discussed. Furthermore, industrial partnership for technology R&Ds and industrialization preparation of CEPC-SppC will be explored. Please email the organizers (cepcws2018@ihep.ac.cn) for assistance.